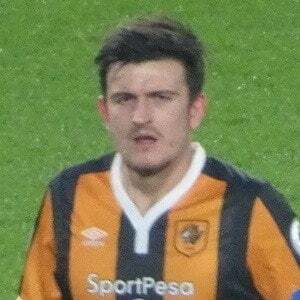 Soccer player who has been a standout defender for squads like Sheffield United FC, Hull City AFC and Leicester City FC. He was voted Sheffield United Player of the Year in 2012, 2013 and 2014. He debuted with the English national team in 2017. He came up through Sheffield's youth system before making his senior debut in 2011. He was named to the PFA Team of the Year three straight years from 2012 to 2014. His brothers Joe and Laurence are also soccer players. He has been teammates with goalkeeper Kasper Schmeichel at Leicester City.